Absolute Garage Door Services can repair, replace, or upgrade any garage door and its operating parts. 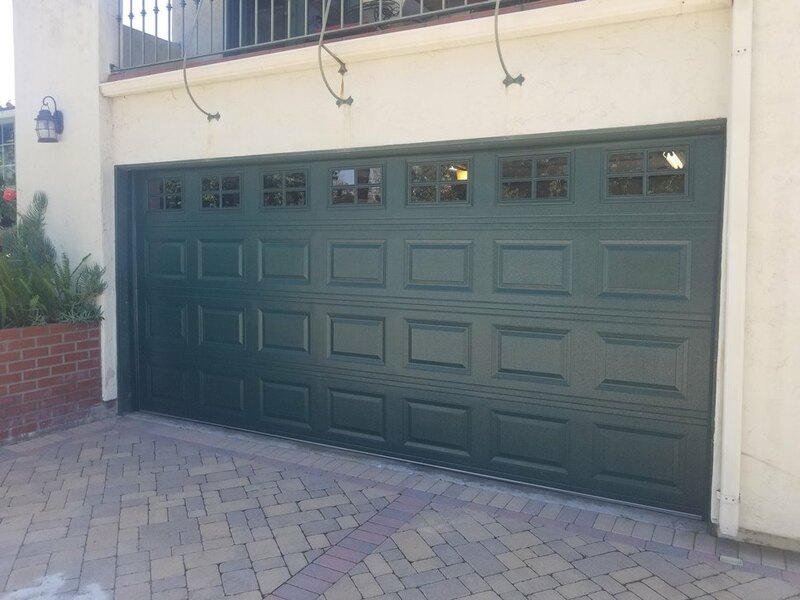 But, if it is time to replace the door, for any reason, we will guide you through the process of selecting the perfect garage door for your home, and your budget. We’re proud to install C.H.I. Overhead Garage Doors, a prominent manufacturer of residential garage doors for over 35 years. C.H.I. Overhead Doors was built on the idea that garage doors should be exceptional in quality, craftsmanship, and value. They care about the environment and are dedicated to finding more ways to help the environment by reducing the amount of waste going into landfills. CHI is our recommended preference for the total satisfaction and value for our customers. If you are thinking of getting a new garage door, you will probably need to enlist the services of a professional garage door company. It is highly recommended that you hire a professional to do the installation for you. Installing a new garage door is no easy task. First, you must look for a high-quality door. Next, you have to learn how to install the door according to the specific manufacturer’s specifications. Luckily, you do not have to do any of this on your own as our company provides quality and affordable garage door installation services. When To Get A New Door? If you find yourself needing to repair your garage door every so often – it may be time to get a new door. Old garage doors are prone to frequents faults and problems. Solving these issues every now and then can become expensive and not to mention exhausting. Instead of opting for repairs – why not just get a new garage door! Maybe you are remodeling your home and you would like to change the style or design of your garage door. Currently, there is a wide, diverse range of door styles and designs to choose from to best compliment your new appearance. Sometimes, a severe storm can cause severe damage to your garage door. Or, maybe you are looking to sell your property but your garage door is bent out of shape. If your garage door is severely damaged, the best thing you can do is replace it. Your garage door can be the most vulnerable point of entry into your home. When you get a new door, you are able to fortify this point of entry to ensure maximum security of your property and loved ones. Most modern garage doors come with secure entry systems like keypads and even biometric systems for optimal security. Old and worn out garage doors have poor insulation which make them susceptible to reducing or increasing heat in your home. Getting a new door installed can help to improve your home’s overall insulation, lowering your power bills considerably. A new garage door directly increases the value of your home. This is pretty straightforward as older garage doors are less attractive and work less efficiently than newer garage doors. Potential home buyers are likely to pay more for your home if you install a new door. Last but not least, your new door will require fewer repairs than your old one. It will also require less maintenance which means you will save both time and money in the long run. Call us today to find out how easy it is to get a new garage door! Aliso Viejo, Coto De Caza, Dove Canyon, El Toro, Foothill Ranch, Irvine, Ladera Ranch, Laguna, Laguna Beach, Laguna Hills, Laguna Niguel, Laguna Woods, Las Flores, Lake Forest, Mission Viejo, Modjeska Canyon, Newport Beach, Portola Hills, Rancho Santa Margarita, San Clemente, San Juan Capistrano, Trabuco Canyon, Tustin.